There are many different types of smokers available on the market, but choosing the right one for you can prove difficult. While there are many different styles of smokers within the categories of indirect heat and direct heat, how that heat is produced determines what type of smoker it is. But which is the best heat source to use? Charcoal vs. Gas vs. Electric. Except for wood burning smokers, these are the choices available to you. This article will help you to make a decision based on their prices, special features, abilities, compatibility, and fallbacks. Base your decision on how you want your final product to turn out. Every heat source is equally reliable and efficient, but each of them offers something different from each other. A few other factors come into play as well. If you plan on cooking inside, you may benefit from using an electric smoker vs. a charcoal smoker. Or you may prefer the smoky charred flavors that charcoal brings to the grill. An electric smoker vs. A charcoal smoker or gas smoker will always be cheaper as a source of fuel, so that may be something else you want to take into account. Make sure and research before you make a purchase. List out your wants and needs along with a budget to better help you find a smoker that will deliver on all of these factors. What are the advantages of each type of smoker? A clear advantage of using charcoal is the flavor that comes along with it. Charcoal adds a nice charred flavor to the meat with the ability to sear meats at high temperature. Another benefit is the ability to move your heat source around. The coals are easily moved around within a grill to create hotter parts of the grill. Charcoal is also not combustible, meaning it won’t catch on fire or explode when left out in the sun or very hot areas. Having a gas smoker is incredibly convenient. With the turn of a knob and the push of a button, your grill is started and ready to go. Of course, you have to let it warm up, but the amount of time it takes to start and the amount of effort by yourself are priceless. Turning the grill off is also made easy with little to no cleanup. Adjusting the temperature of the grill is a breeze with just the turn of a knob. So, finding the perfect temperature level and maintaining them is no problem at all. An electric smoker is almost too convenient. The perfect gift for a beginner smoker or someone who enjoys smoked food but doesn’t want to mess with the whole cooking process. Most electric smokers can start and finish whenever you want them to use a timer. Think of these as any other appliance in the kitchen but mixed with an alarm clock. They produce little to no exhaust which is great to use indoors. However, some electric smokers need to be outside from the amount of smoke exhaust they produce. An electric smoker will do all the work for you as long as you set it up correctly. Once a timer alerts you, boom! Smoked pork shoulder! What are the disadvantages of each type of smoker? The amount of time it takes to start a grill using charcoal can seem quite long. The most common method is to allow the charcoal fluid to soak into the charcoal briquettes for about 5-10 minutes before igniting them. This ensures the whole briquette will catch flame and burn evenly. Cleanup is also a hassle without some ash system. To kill the charcoal when you are done is to just let it burn out on its own, if you douse them with water, they will not only create a huge mess of black water and ash but also possibly harm your smoker by drastically changing the internal temperature from very hot to cold. There are not many disadvantages to using gas except for the actual fuel source itself. Natural gas and propane gas can be quite expensive in the long run. The flavors you may receive will also be farther away from those memorable backyard barbeque flavors that charcoal and wood bring in. Gas tanks are combustible if left on very hot areas or directly in the sun and do have the capacity to catch fire or explode. All propane tanks should be kept in cool, dark areas to prevent any of this. Natural gas lines also need to be easily accessible to the grill in shaded areas as well. While there are some amazing features of electric smokers and they can do crazy awesome things, they too will not match up to charcoal and wood flavors on the grill. An electric smoker may also take a little bit more time when cooking large amounts of food at once. How much fuel will each smoker consume? Using charcoal as a fuel source can become very pricey in the long run. It also will not be convenient. Every time you want to cook something you will find yourself at the store buying another bag of charcoal. While this heat source does provide great flavors, the cost of the fuel can be somewhat outrageous. For each bag of charcoal, you may spend anywhere from $5 to $30 each time you grill depending on the amount needed and the quality of the charcoal. Gas come fairly cheap to buy and very easy to use. The most common product used to fuel a gas smoker would be a 20lb. Propane tank. These tanks will last for 8- 12 hours depending on the number of BTUs being used and how it is being used. You can expect to grill about 15-20 separate occasions or if you plan on smoking, 1 or 2 times per tank. Tanks are cheaper when they are refilled, but if you are buying one for the first time, they can range anywhere between $30 and $60. Having a natural gas line in your backyard can be pricey as well but when used in the long run will be very cheap compared to other fuel sources. These smokers are great on fuel because they use electricity with the easy plug-in to any household outlet. The electricity they use will be minimal and hardly noticed. For a common 800-watt electric smoker smoking meat for 8 hours, the amount of electricity used will be equal to 6.4-kilowatt hours. The average price of electricity in any American household is anywhere between 5-15 cents per kilowatt-hour. Proving that the most you are likely to spend on electricity would be no more than $1.50 each time you cook. This is by far the cheapest way to cook. The following is a list of the smokers we have chosen to compete against each other to see which types of smoker is the best. Charcoal vs. gas vs. electric. This smoker is great for anyone that is new to smoking or the well-seasoned patron. With an easy setup and just the push of a couple of buttons, this smoker will take care of the work for you and sound an alarm when the food is ready. The smoker is 40 inches tall and 20 inches wide with a cooking surface area of 975 square inches. This will allow you to smoke a very large amount of food at once whether it be 24 hamburgers, two whole turkeys or 4 racks of ribs. The unit also comes with removable and adjustable cooking racks which make it easier to position your food properly. The unit comes equipped with an adjustable latch which loosens or tightens to help seal in the smoke and moisture. The front of the unit contains a glass panel which allows you to look inside. However, once the internal chamber fills with smoke and moisture, it can become very difficult to look inside. There are also four locking castor wheels for easy mobility and extra stability. There is a removable drip pan for easy cleanup, but the rest of the smoker will need to be cleaned out by hand with a safe cleaning solution. The unit also comes equipped with a remote control that allows you to control the smoke, moisture, and temperature of your smoker from anywhere in the house. While this machine is very convenient and easy to use, there have been some problems with the heating unit burning out after a couple of years. This has provided some problems with the unit although Masterbuilt has been very accommodating with the customers’ needs through the process. Another great electric smoker from Masterbuilt, but coming in a little bit smaller size of 30 inches. The cooking surface area is smaller than the other electric smoker above but does have some cool features that hope to make up for that. The unit comes equipped with their patent side wood chip loader, allowing you to reload the wood chips to the smoker without opening the door, releasing all the built-up smoke and moisture. This comes in pretty handy when maintaining temperatures and saving on time and energy used. The unit is equipped with digital controls and alarms to provide a seamless interface. However, there is no wireless remote for this model. This model also does not have locking castors or handles but does have solid, fully insulated body with sturdy legs. The unit is also equipped with adjustable racks, removable drip tray, and an integrated thermometer. This unit may have some fallbacks compared to the other electric smoker we have listed, but this smoker is $100 cheaper than the other one, which helps make up for lack of special features. This is a great choice of the charcoal smoker for any beginner. This smoker often referred to as a “bullet smoker,” uses direct heat to smoke the meat during the cooking process. The unit stands 41 inches tall and consists of two 18-inch cooking grates that form a cooking surface area of 481 inches. The body is constructed of porcelain enameled steel and is equipped with heat-resistant handles on the side and the top of the lid. The smoker contains a thermometer in the lid and four rust-resistant vents on the sides and top for adjusting smoke levels. There is also a charcoal pan and water bowl for adding moisture to the smoker. However, the thermometer tends to be of low quality and not sealed properly. While the assembly is very easy to complete, there have been several complaints about this product being shipped without all the correct parts included or even containing damaged parts or warped lids. The grill comes with a cover to protect it from outdoor weather elements and should prove to be an excellent smoker if treated properly. Some people have complained that the smoker will fall apart due to high temperatures during the cooking process, but a smoker is not supposed to be used at high temperatures. This rather large vertical charcoal smoker is a great option to consider. The body is well constructed of porcelain enameled steel coated with a high-temperature powder to ensure it will hold up well against harsh weather and outdoor conditions. There is a cover available for purchase but does not come included in the original price. This smoker is called an offset smoker due to its unique style and uses indirect heat to smoke the meat during the cooking process. The very large 784 square inch cooking space includes six adjustable and removable stainless-steel cooking racks which make it possible to cook up to 100 pounds of food at once. The unit is also equipped with wide based legs, locking latches on the smoker and firebox as well as a removable ash tray system for easy cleanup. There is also an adjustable smokestack integrated into to the top of the smoker to help maintain specific smoke levels within the smoker. Although this smoker is much cheaper than the other charcoal smoker we listed, there have been some problems. Shipping and packaging of the unit are of poor quality, and there have been problems with missing parts and damaged areas of the smoker. This smoker has also been known to not have a very good seal on the smoker itself, which can be avoided and worked around if you know how to work an indirect heat smoker properly. The legs of the unit have claimed to be of poor material making the stability of the unit as a whole, fairly shaky. This compact and portable propane smoker would be a great first purchase of a smoker. This vertical style smoker uses direct heat to smoke the meat during the cooking process. The body is built of porcelain enameled steel and is equipped with an adjustable damper and removable water, ash and wood trays for easy cleanup and setup. The unit stands 30 inches tall and contains four adjustable and removable, chrome-plated cooking racks creating 700 square inches of cooking space. The 2-door setup allows the user to load wood chips, remove water pans and ash pan and adjust the internal temperature of the smoker without having to open the smoker door. The door is lined with a high-temperature plastic liner and is equipped with a heat resistant, locking latch. However, there have been complaints about the integrity of the actual seal itself. Some smoke does seep through the seal. The smoker has a type 1 regulator with a stainless-steel burner and a quick to start ignition system. The smoker is equipped with an internal thermometer, but there have been complaints of it being faulty or of poor quality. While this smoker has its ups and downs, you can’t beat the price. It’s also sure to be long lasting if it is taken care of properly and frequently cleaned. Also, spring for the better shipping option as there have been some problems with general shipping such as damaged or missing parts. This propane smoker is very similar to the Masterbuilt propane smoker but is larger in size and cheaper in price. This smoker also uses direct heat to smoke the meat during the cooking process. The vertical 36-inch body is constructed of porcelain enameled steel and contains four stainless steel coated racks providing 5 ½ square feet of cooking space. The body is equipped with an adjustable damper at the rear and a high-temperature internal thermometer. There have been claims the thermometer is made of poor quality providing bad temperature reads and sometimes comes damaged in the box. The type 1 regulator comes with a 40-inch-long hose and a stainless-steel burner. There are removable water trays and drip trays, but there have been complaints of bad placement within the smoker. When the meat is cooking, sometimes the fat juices will drip down and miss the drip pan, covering the ignition and burner in hot grease, which can cause a litany of different problems. The duo door system makes it easy to remove the water and drip trays without opening the smoker doors. The smoker doors are also equipped with heat resistant, locking latches which help seal in the moisture and smoke. It doesn’t necessarily have to be a specific type of smoker that is best. Pick a smoker that is easy to use, and has easy to follow directions and setup process. For beginner smokers, the best route to take is the easiest, so make sure and find a product with plenty of bells and whistles to help you throughout the cooking process. What is the best smoker to use indoors? An electric smoker. Other smokers will not have the ability to smoke food indoors unless they are in a commercial kitchen with a hood ventilation system. Also, not all electric smokers can be used indoors, so be sure to read everything carefully before springing for a bad purchase. Can you use wood chips with a propane smoker? In some propane smokers, yes. Sometimes there is a wood chip pan or receptacle that burns the wood chips to create smoke. Without this function on a propane smoker, the thickness of the smoke will be less dense. Can you change thermometers on smokers? Yes, and it is almost always recommended. Most smokers are equipped with a thermometer but are of bad quality. 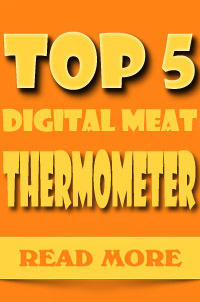 So, if the temperature is a concern of yours, purchase a nice digital thermometer, possibly with a remote to easily control the temperatures of your smoker correctly. What is the best type of smoker for “cold smoking”? To cold smoke, a food item the internal temperature has to be very low. The best choice to tackle this would buy a cold smoker, but if you are confident in your skills to maintain a very low temperature for hours, then make sure and purchase an offset smoker or indirect heat smoker. This will help control the lower temperatures better without skimping on the density of the smoke within the smoker. In conclusion, what is the best type of smoker to purchase? Gas, electric or charcoal? Well, there is no correct answer here, and it all depends on your budget, involvement in the cooking process likes and dislikes or the end product and food consumption capacity. Each of the types of smokers is special in their way, and each brings something different to the table that the other does not. If spending money on fuel is a problem for you then we suggest you purchase an electric smoker to help keep your fuel costs low. If you prefer big charred and smoky flavors, we suggest you choose a charcoal smoker to help you in this process. If convenience is a major factor in your busy life, then you might want to consider purchasing a propane smoker to help cut back on the work and time involved in the cooking process.